I didn't see anywhere else to post this question so I hope that it is alright to do it here. . .
Did you ever end up posting the actual pattern or tutorial on how you crocheted the circles scarf? At the time you posted pictures, you said that a pattern would be forthcoming. I still love this scaarf and would love learning how to make one for my daughter-in-law for Christas 2011. Thanks!!! It's been a while I didn't come have a peek at your attic and (gee!) I missed it! I loved the flower wrap, your color combo is always so cheerful! oh my, is that a bedpost lavender sachet? What a marvellous idea! Oooo just noticed the new profile pic in a very fetching new scarf I see! Now you're just teasing us!! Yes, I just spotted your new profile pic too, with the new scarf!! It looks lovely! I don't often post responses, but like many of the other commenters here, your blog posts are a lovely bright ray of sunshine and always manage to cheer me up. I love your flair for photography too - your piccies are a big part of what makes this blog great, that and your energy & enthusiasm. My only problem is reading your posts makes me so jealous of your home & lifestyle! and did I notice a new 'you' pic on your profile? I have to say that blanket post was my fave post of yours ever... did I tell you that already? 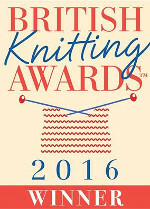 Just wanted to say Congratulations on your nomination in the Crochet Awards! I love your blog, so of course have votewd for you! what darling chubby baby feet on little B. your beautiful colors make my day. Thanks for taking the time to make us all smile all over the world Lucy. You share awesome pictures with us.It look so amazing.I just love this.You done a fabulous job. The first one photograph is such a very beautiful and looks very attractive. I can 't thank you enough, such a different photographs. Love the colourful photos. Beautiful. Hope the sun is shining for you today! Lovely photos, those are fab pins! How lovely! I saw something today that made my heart do a flip flop and I have to share! I was on the first4yarns site and saw the "Lucy's Creative Colour Pack" You are so inspiring to so many people, including myself. Thank you for giving us all a glimpse into your lovely attic from time to time! So many lovely things to be happy! thanks! Ahh such wonderful piccies especially of Little B's toots. I'm impressed you only sampled one of LM's buns - I would not have stopped at that! Pleeease tell me which mag you've got, I am seriously loving the pics in it.